Who likes a messy room? No one! right? You can organize your things by following these amazing useful life hacks which will help you in managing your stuff and reducing clutter. 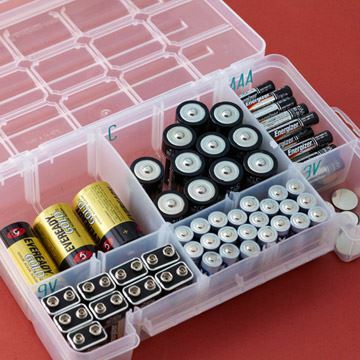 Taking care of small things is always a big deal, but these tackle boxes are really helpful in organizing small things. You can also use them for collecting buttons, batteries, medicine and many other small things. 9. No more remote hunting. Velcro tapes are not only for shoe straps, it will also help your remote to stick to one place. 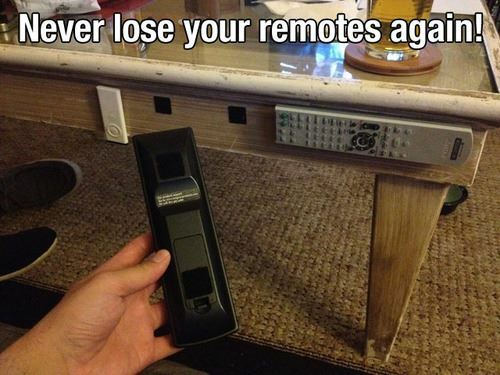 With this hack, you will not lose your remotes any more. 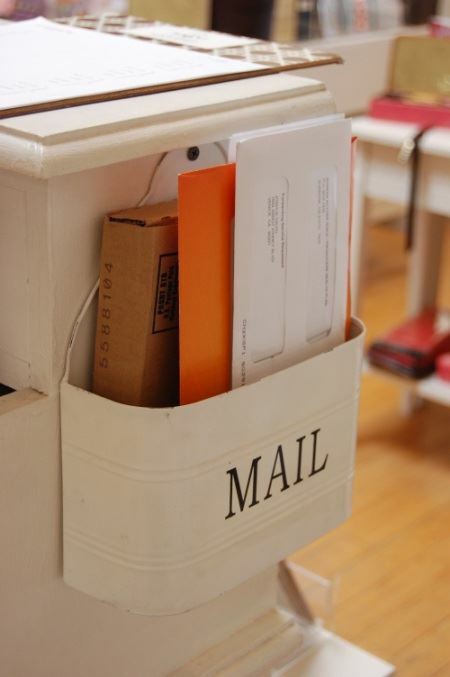 Now you don’t need to pile up a bundle of mails on a table,they can easily be tucked in by sides of counter. Less mess and cleans the counters. 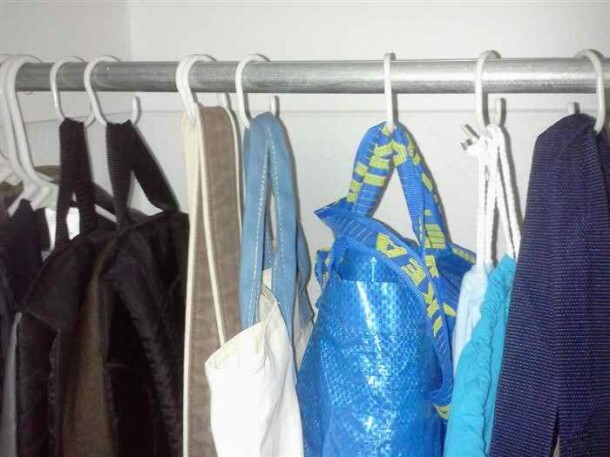 The shower hooks will work for you as a small hanger and it can easily carry your small stuffs like bags and belts. Where there are children, there is mess. 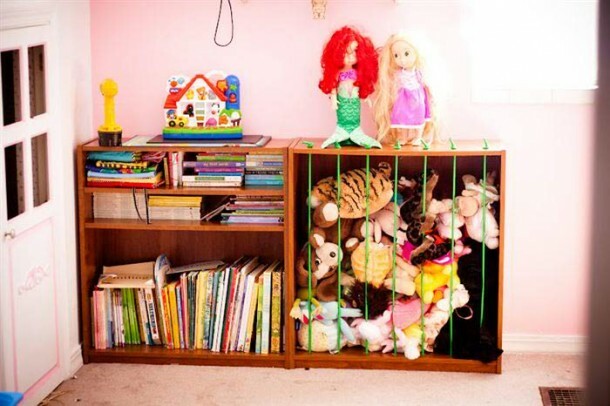 If you don’t want scattered toys around then try a Bungee cord to assemble them specially the stuff toys. 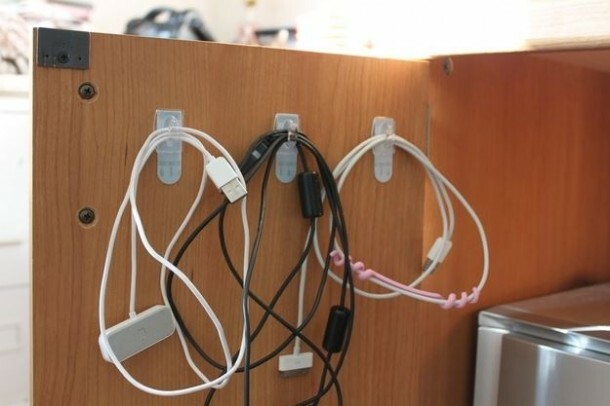 Command hooks helps you in hanging your wires and cords without creating a mess. Genius isn’t it. 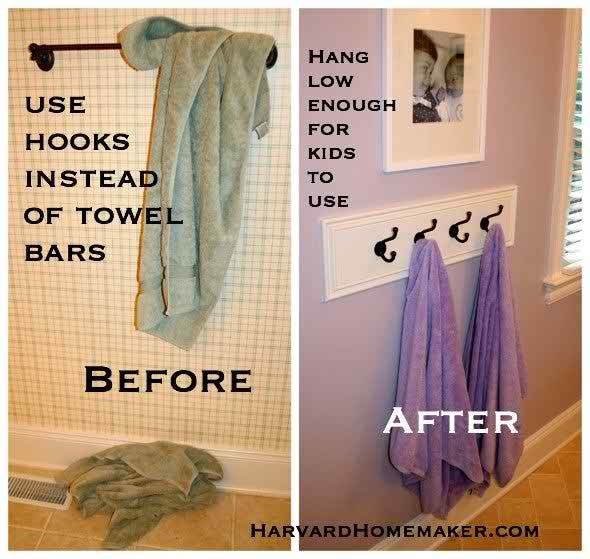 Just try this life saving hack and hang as much as towels for another as well. Use hooks not bars. 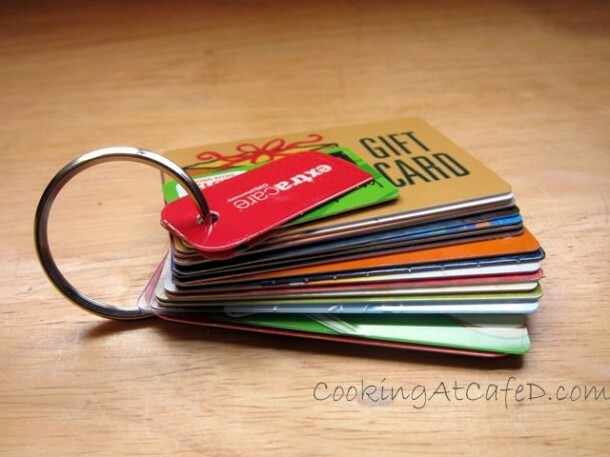 Organize your reward cards or gift card with the help of split rings and keep them safe and organized. Clever isn’t it? 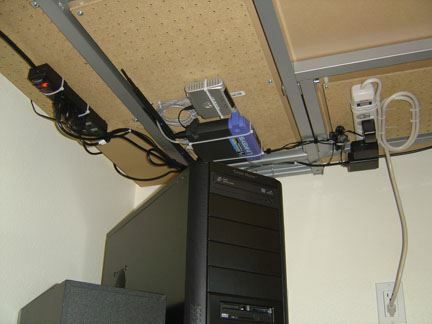 Amazing life hack, using a pegboard and a zip ties manage your wires in an awesome manner. 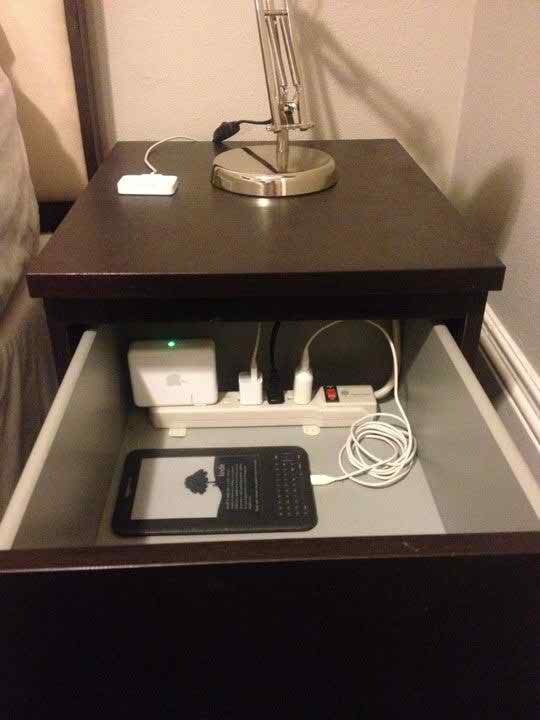 No more cords on your side-table. Use the drawer.